This bold square design can be used in the powder room, or to add a unique look to the master bath. 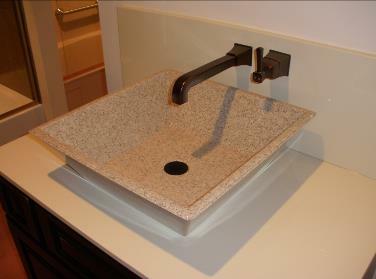 It is best suited for wall mount faucets. 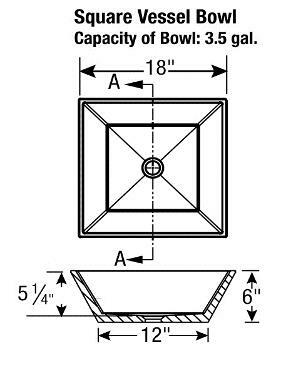 A flared large capacity bowl.